Sue Todd has received Honorable Mention in the Best Chess Photojournalism category from the Chess Journalists of America. 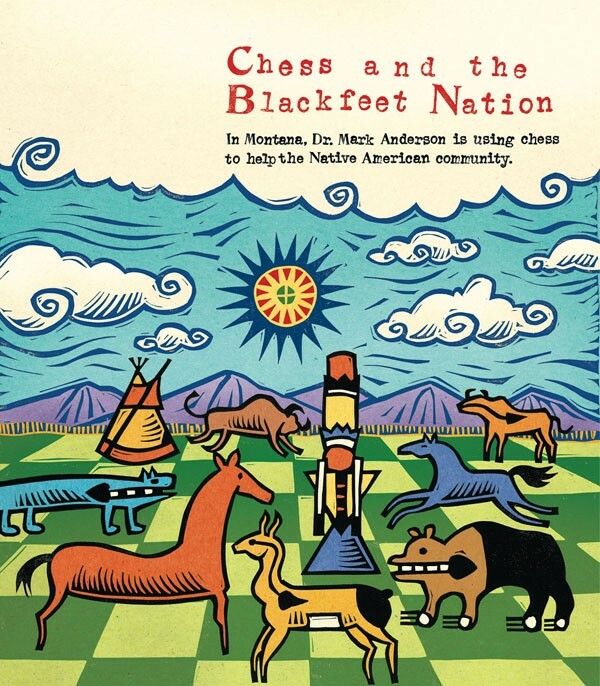 The award recognizes her cover art for Chess Life Magazine, “Chess and the Blackfeet Nation,”published in March 2015. Sue’s illustrations are hand-carved linoleum with colour applied in Photoshop.